The Bahama Islands are known for their world-class-beaches. With more than 700 islands, it’s no wonder tourist travel there to see them. 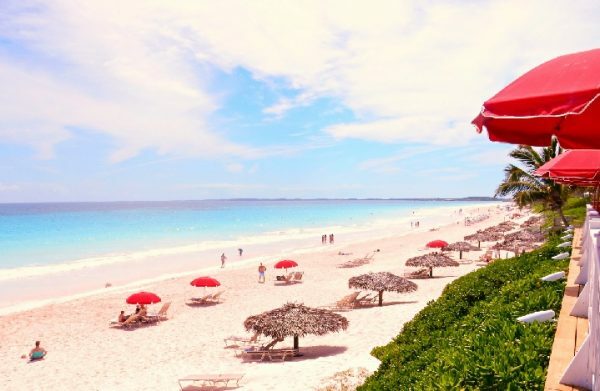 In fact, many of the best beaches in the Bahamas have been listed in various travel publications. Whether you are thinking of strolling along the edge of the sea, launching a kayak off a beach or snorkeling in the clear water among the colorful sea-life, you will find what you seek. 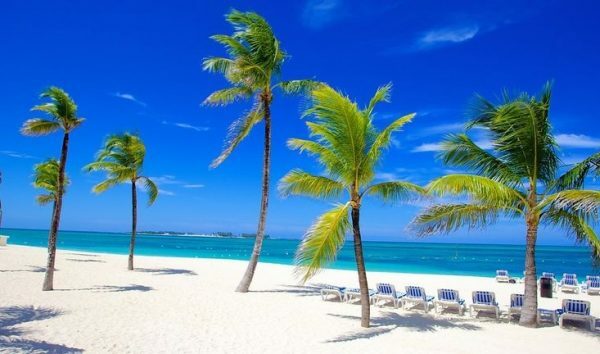 Just remember, for some fun in the sun or just to relax, the beaches of the Bahamas await you. When visiting Bimini, most of the island’s beaches are found on the west side of North Bimini; popular ones include a group of three contiguous beaches in Alice Town. These three(Sometimes referred to as Alice Beach) are Blister, Spook Hill and Radio Beach. While there if you wish to eat, there are a variety of fast food restaurants & bars located near Radio Beach. Another popular beach is in south Bimini; this two mile strip of white sand is called Tiki Hut Beach. Known for its beautiful stretch of vegetation, palms and flowers, this is a picturesque place to see. Located three miles west of downtown Nassau, Cable beach is New Providence Island’s most popular beachfront. This four-mile stretch of resorts, with the white-sand beach is the backdrop for tourist staying in the area. Also, the shoreline provides easy access to the bars, casinos, restaurants and shops in the area. With its white sands and crystal-clear waters, the beaches of Cat Island are known for their palm tree lined backdrops. One of the top beaches on the island is Fernandez Bay Beach. Located on the grounds of Fernandez Bay Resort, this facility offers a number of activities including: snorkeling, scuba-diving and fishing. If you want to explore the area away from the resort, there are a few historical sites to see including: old churches, caves and the remains of an old plantation. Extending the length of Harbor Island’s east-side, Pink Sands Beach stretches for three miles. A coral reef protects the shoreline, which creates some of the best swimming in the Bahamas. This beach was featured in the Travel Channels best beaches of 2005. Lastly, there are a few hotels and private villas for those wishing to stay a few days; also if interested consider visiting nearby Eleuthera Island. The beaches of Long Island are scenic and stretch as far as the eye can see. One of the most beautiful is Cape Santa Maria Beach. Located on the grounds of Cape Santa Maria Resort, the white-sands and blue waters will mesmerize you. If you are in need of some rest, relaxation or solitude, perhaps Cape Santa Maria is for you. Andros Island is the largest among the Bahamas and is the fifth largest island in the Caribbean. Also, the third largest barrier reef in the world is found there; The three main islands are North Andros, South Andros and Mangrove Cay. Some of the popular beaches include the following: To the North is Small Hope Bay; this beach is only minutes from Andros Town. Another popular beach is Love Hill; this place has earned the nickname “Garden of Andros” because of its lush vegetation and palm trees. To the south is the white-sanded coconut tree lined Tiamo Beach. Andros is home to some of the best beaches in the Bahamas, choose well. Known for its sugary white-sands, the beaches of Exuma extends the length of the entire chain. The crystal-clear waters provide some of the best places for snorkeling in the entire country. 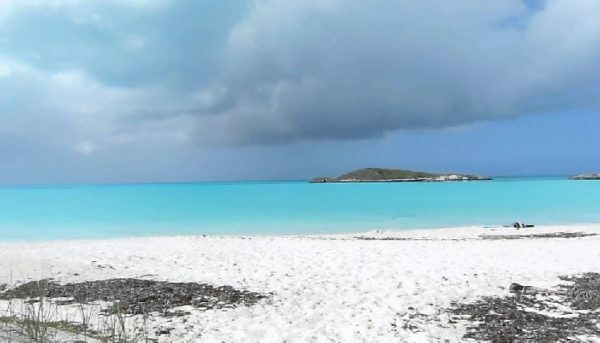 Among the beaches the prettiest one is Tropic of Cancer Beach, which is found on Great Exuma Island. 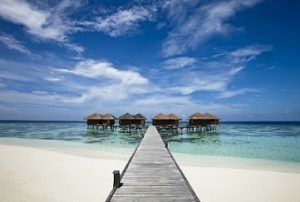 Other popular beaches include Sandals Resort’s Emerald Beach and Three Sisters Beach. If you desire more privacy, consider a trip to Saddle Cay. Located near the northern tip of Exuma, Saddle Cay can only be reached by boat. Once you are there you will find an unspoiled place with no traces of the modern world. Lastly there are other cays & islets in the area, should you decide to explore other places. Grand Bahama Island is known for its reef-protected shoreline and white-sand beaches. There is more than eighty miles of shoreline, that is white-sanded beach. Without doubt each area has its own favorite strip of shoreline, but the star of the show is Gold Rock Beach. Located in the Lucayan National Park, this beach is not only secluded but beautiful. If you are looking for a quiet place to sunbathe, snorkel or to get away from the noise of other resorts, this place is for you. The Abacos Islands are known for its many stretches of sand. One of the most popular beaches is Treasure Cay; this beach has been listed among the Best Beaches in the Bahamas. Other beaches in the area include: Ocean, Tahiti and the seven mile long Guana Cay Beach. Lastly if you are into collecting seashells, Sandy Point Beach is the place to visit for beachcombers.